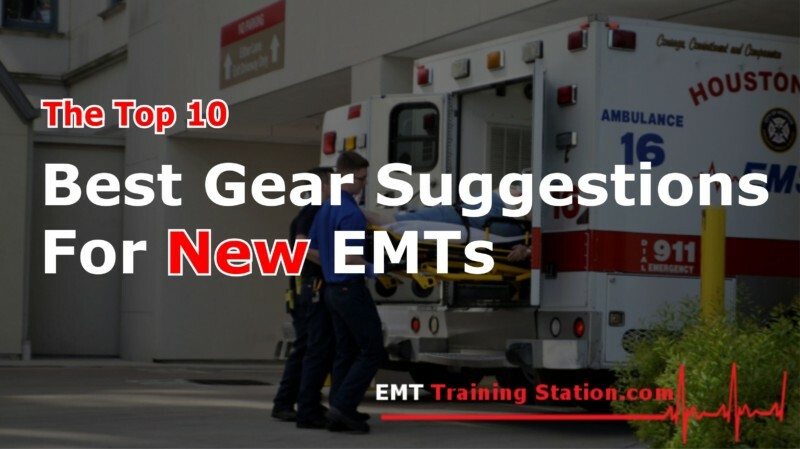 As a new EMT, one of the more daunting concerns can be: What sort of gear do I need as an EMT? Being an emergency care provider requires special tools for the field. As a responder, it is your duty to make sure that you have the correct personal equipment to make your job both safer and easier. Below you will find a list of recommended equipment to carry. As an EMS provider of more than a decade, I have gone through my share of boots, trauma pants, and other pieces of equipment. An EMT does not need to carry an entire jump bag on their belt, but it does help to have good tools close at hand. Think about how much time you will be spending on your feet. 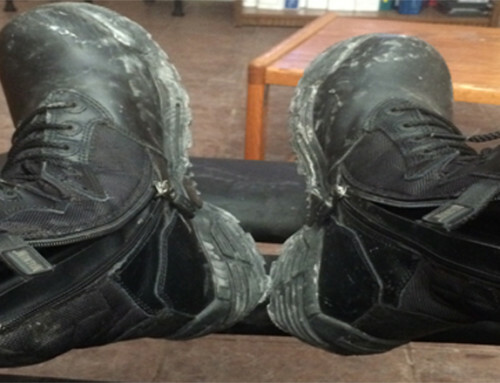 A good pair of EMT tactical boots is going to be your best friend. When selecting a good pair of boots the most important aspect when looking for boots is comfort and support. Some people like low top boots, others prefer high top boots. I recommend looking for the full boot. A boot that comes up to above your ankles will give you better support. Another important boot feature is being breathable and being waterproof. Look for boots that have Gore-TEX. Gore-TEX is a type of material that is both waterproof and allows your feet to breathe. This will cut down on dreaded foot odor. Quality boots are typically going to cost around 150 dollars or more. Some recommended brands are Magnum, Rocky, 5.11, Danner. The 5.11 A.T.A.C. Storm Boot has been my go-to boot for 10 years. They are waterproof and comfortable. They have a short break in period and have Gore-TEX waterproofing for breathability. They also feature a side zipper. Some come with an anti-blood born pathogen coating and are slip resistant. They typically last me 2-3 years working 48 hours a week. Of all the boots I have worn on duty, these are the best in my opinion. Please take the time to read our boot article on the Best EMS Boots for Budget Buyers. Chances are, if you are new to the field, then you have a budget to worry about. A good stethoscope is a staple of EMS. 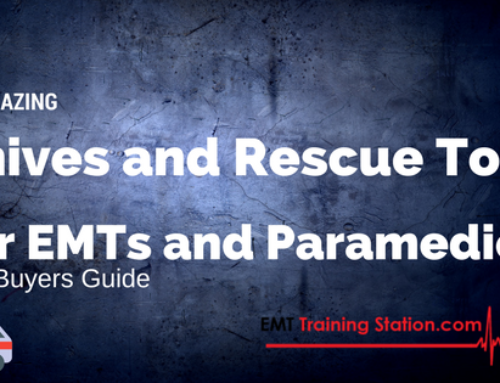 It is an essential EMT tool that is required to do the job. Most companies will provide a stethoscope for EMTs to use. However, these are usually the cheapest and lowest quality stethoscopes. Springing for a good stethoscope is usually a good idea for EMT’s that are serious about their jobs. A quality stethoscope will allow the EMT to accurately diagnose lung sounds and hear heart tones. Heart tones are more important to the EMT Paramedic but all levels of EMT need to know lung sounds. These sounds can tell an EMT whether the patient is having an asthma attack vs having COPD exasperation. A quality stethoscope can cost 20 bucks to several 100 dollars. You should check out our article 8 Lung Sounds Every EMT Should Know, for an in-depth look at different lung sounds and why it is important to accurately describe each one. The 3M Littmann Classic III Stethoscope is an amazing choice. Littmann Stethoscopes have been an industry standard for a long time. Most Paramedics, RNs, and Doctors use this brand all over the world. They have great sound quality and provide the EMT with a way to accurately identify what lung sound a patient has. It is also very good at listening for heart tones. 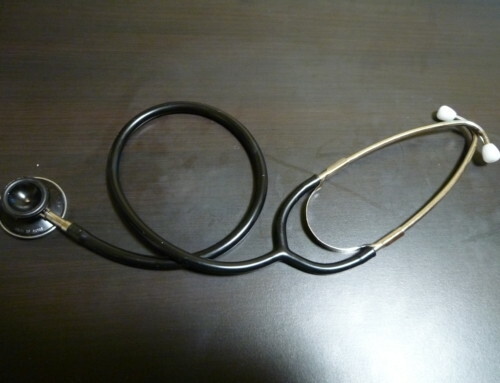 This is probably the most recommended Stethoscope by industry professionals. Penlights are essential to being a professional EMT. They are invaluable tools in emergency care. Pen Lights are used to check pupil response. Pupil response gives clues to what is wrong with a patient. For instance, patient’s pupils respond differently when they are under the effects of drugs, or have a traumatic injury. Strokes can cause 1 pupil to react to light and the other not to react. Run report are starting to require a pupil size and pen lights often come with an easy to use pupil gauge right on the side. Typically a company will provide a penlight on the ambulance. However, it is recommended that EMTs have their own and penlights are usually cheap and affordable. The RISEMART Nurse Led Medical Penlight with Pupil Gauge is a smart choice for a penlight. This light not only features a pupil gauge but also a 5cm ruler on the side. It is durable and has a long-lasting LED light. EMT Trauma Pants are another piece of gear that an EMT needs to consider. It is important to know what color your school or place of employment wants you to wear. Typically this will either be black pants or blue pants. A good pair of pants needs to be durable, and pocket storage is a must. 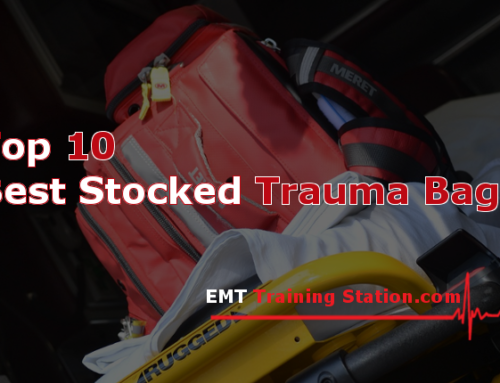 EMT pants typically have tailored storage for holding EMS tools such as shears, penlights, stethoscopes, gloves, and any other form of equipment the EMT needs to carry. These will typically cost around the 50 dollar mark. Good news is once you get hired many EMS companies give you a uniform allowance and will reimburse you the cost of the pants. However, you will probably need a pair for EMT school. The 5.11 TacLite EMS Pant is one of the best pairs of EMT pants on the market. Starting to notice a theme eh? I am a big fan of the 5.11 brand. They are reasonably priced, quality, and look good. These pants are durable, have lots of EMT specific pockets. You will notice that they have storage on the thighs and the calf. They come in Dark Blue and Black, the typical uniform colors for many EMT schools and EMT employing agencies. These pants are very comfortable and breathe. This is important in the summer months. EMT’s do not get to wear shorts. 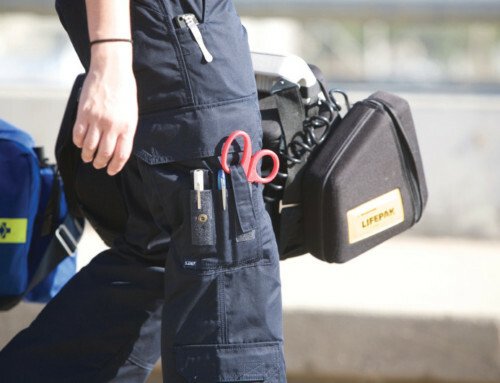 Check out our article on The Top 5 Best EMT Pants. A personal set of Trauma Shears is an essential tool in the EMT’s arsenal. These are special scissors that are used to cut quickly through clothing, leather, and just about anything that an EMT will need to cut during the function of his job. This is another tool that an EMS agency will provide to an EMT crew. However, as previously stated, these are typically the cheapest quality. Shears, along with penlight, tend to go missing from the rig. There is nothing worse than rolling up to a trauma scene and having to scissor strip a critical patient and have to look for your shears while they are bleeding on the ground. It is recommended that EMTs have a personal pair of shears. Shears range in price from less than 5 dollars to 70 for the Leatherman Raptor. Leatherman Raptor EMS Multitool is an obvious winner here. I know I am recommending the most expensive trauma shear. However, there is a reason. That reason is that the Leatherman Raptor is not only shears but it is also a multi-tool. The Raptor is a 6. It has a ruler that is useful for in 1 multitool designed for EMS. These tools are shears, O2 wrench, a ring cutter, a tungsten carbide window punch, and an angled strap cutter. The shears are perfect for removing clothing. The O2 wrench is handy because those things are always getting lost. Hand trauma can cause swelling and a ring may need to be cut to restore circulation or a worse injury, such as a degloving has occurred. A good window breaker allows for quick entrance into a vehicle. The hooked strap cutter makes short work of seatbelts. The Raptor gives you quick access to 6 tools that are essential in trauma patient care. For a complete review of these shears, you can visit our Leatherman Raptor review article. It is essential that an EMT has a cell phone. This is a no-brainer. A cell phone allows the EMT to have a lifeline with dispatch. A smartphone is recommended because it gives the EMT instant access to information. They also offer GPS, as well as access to apps. There are many apps designed for EMTs to help them in their everyday job. It is a good idea to have a protective cell phone case with tempered glass, as an EMT has to work in risky environments. Pocket notepads are essential to patient care. EMTs use notepads to record vitals and other notes about a scene that they will then record into their run reports. All weather notepads are very helpful because they are water resistant. It is not imperative that an EMT uses an all-weather notepad. Cheap notepads work just as well. Only make sure that the pad fits into your pocket. Pens are love, Pens are life. Make sure to carry extra pens. Sometimes you will have that patient that you will want them to keep the pen after they use it to sign off. Same thing with Nurses. A good way to make friends with ER nurses is to leave a pen with them. Nurses constantly have pens stolen and giving them a pen will brighten their day and the next time you bring a patient in they will be more likely to come to you to get a handoff report instead of you having to wait for them. What did the EMT have in common with the Mailman? Rain, sleet or even snow, a patient needs transport so off we go. EMTs will be operating in all forms of weather and need to make sure they have cold weather clothing and warm weather clothing, depending on geographical location and seasonal need. Sometimes they will be exposed to the elements for an extended period of time. For example, on a difficult car accident with an entrapped patient. You may be providing care as firefighters are using the jaws of life to cut them out of the car. You won’t be able to stop caring for the patient because you are cold or wet. Moisture-wicking under clothing is a great help considering that most EMT uniforms are not very breathable. A good cheap and durable wristwatch is an EMTs best friend. Do not get an expensive watch for at work. EMTs and Paramedics will break their watch at some point. It will happen. Focus on a 10 to 15 dollar watch with a second hand that can be used to measure vital signs.